Here's where I'll tell some stories from my life, basketball stuff, and non-basketball stuff. 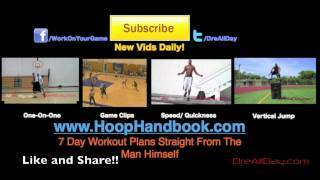 Also some B-Roll drills/workout content, maybe some old game stuff I unearth at random times. Subscribe and stay ready for anything new I might drop. Dre Stories channel is new to VideoAmigo. Select from the following topics where Dre Stories is classified. A channel's spider chart is made up of 12 data points. This spider chart demonstrates how Dre Stories performs against each of the 12 data points. The teal line represents Dre Stories, and the black line represents the average performance for the 1,224 channels in the Speeches, Thought Leaders, Futurists topic. Subscriber Conversion: This channel's Subscriber Conversion of 1,000,000 is 6130.82% higher than the topic average of of 16,049. It's taking less views on avg to gain a subscriber. What category is Dre Stories in?